An absolute must do when staying on the Sunshine Coast is spending a day at Australia Zoo. The Home of the Crocodile Hunter, the late Steve Irwin, offers the best animal encounters and live animal shows. Steve and Terri Irwin’s vision to make Australia Zoo the biggest and best wildlife conservation facility in the entire world, has come to fruition. Where else in the world can you take a walk on the wild side with a majestic tiger, cuddle a koala, hand-feed a rascally red panda or have a cheeky cheetah snapshot? Checkout Australia Zoo’s animal encounter experiences and exhibits such as the African Safari Park, The Crocoseum, Tiger Temple and Elephantasia. Enjoy live wildlife shows in the Crocoseum with tortoises, otters, koalas, crocs, birds of prey and the amazing Australia Zoo Wildlife Warriors. Hand-feed the gorgeous Red Kangaroos and Grey Kangaroos as they roam around their open-range enclosure or the beautiful baby animals at Kids’ Zoo. Explore the tropical paradise of Bindi’s Island where you’ll find Bindi’s incredible three-storey treehouse. Complete with an authentic shipwreck entrance, Bindi’s Island will transport you to your ultimate wildlife haven, with cheeky ring-tailed lemurs on display and roaming free amongst guests! 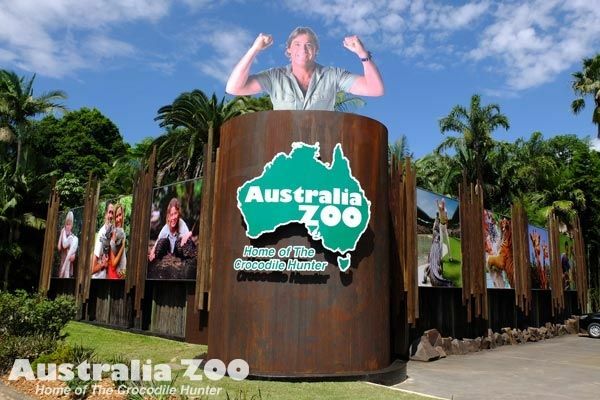 Australia Zoo is situated on Steve Irwin Way in Beerwah and is approximately 30 minutes from Alexandra Headland. For tickets and further information head to The Mirage Experience Oz Page.